I have recently installed Ubuntu in my laptop alongside Windows 10 by dual booting. 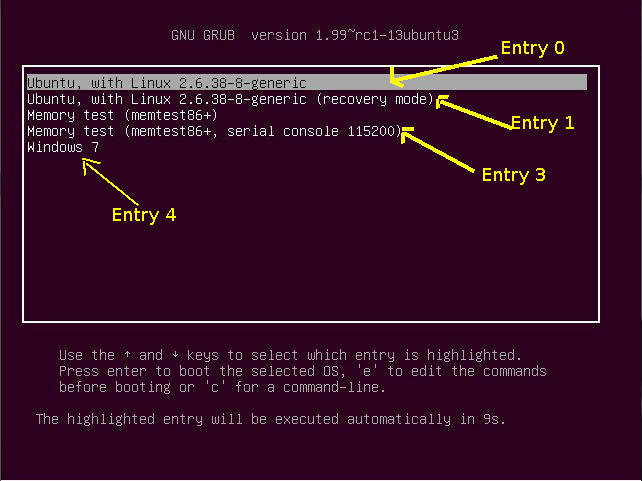 And at the start grub is showing up to give options between Ubuntu os and Windows boot loader. If I don't do anything for some time, Ubuntu gets selected automatically. Instead of Ubuntu I want Windows to get selected if I don't do anything. How can I do that? What is the changes to be made in the BIOS settings to show OS options before booting? how to access partitions made in windows in ubuntu installed in dual boot alongside windows?